Welcome to Del Mundo Images. We are specializing in Travel and Archaeological Photography from all over the world. If you are interested in exotic and breathtaking landscapes and wonderful ancient places, you came to the right place. All images you see on this site are available for purchase. Del Mundo Images is a partnership with Sightseeing Magazine, a publication for Travel, Adventure and Photography. Check it out, if you are interested in travel and adventure stories and more background information for our images. Please feel free to explore this site and browse our unique images. Please use the "Browse Images" button on the top right. Del Mundo Images is also the only photography site in the world that features specific galleries interesting for alternative archaeology theories like the Lost Civilization or Paleoseti Theories. We hope you will enjoy our images. Please use the menu on the top right to navigate the page or start browsing our images by clicking here. 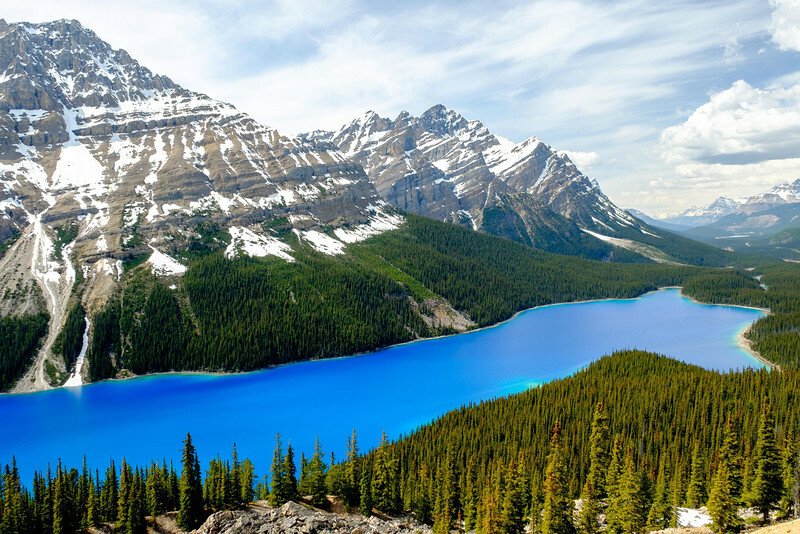 Peyto Lake and its stunning colors in Spring.